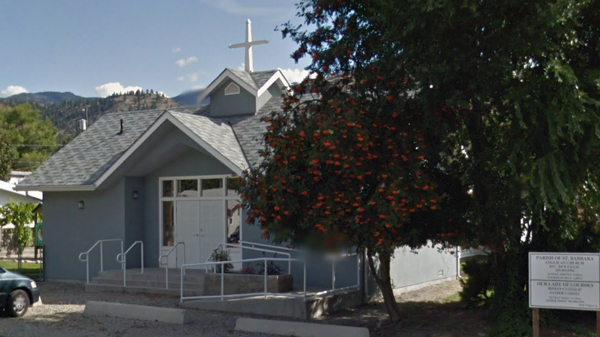 Besides serving the community of Oliver, Christ the King Parish provides Catholic pastoral services in Okanagan Falls, approximately 20 km north of Oliver, and on the Osoyoos Indian Reserve, located immediately east of Oliver. Our Lady of Lourdes in Okanagan Falls has been a mission of Christ the King Parish since 1972. Sunday mass is offered each week at 11:00 am at Saint Barbara's Anglican Church, located at 1039 Willow Street. 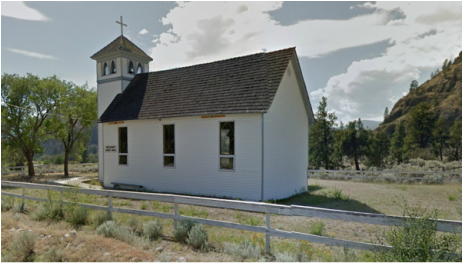 According to the diocesan archives, the first church on the Osoyoos Indian Reserve was blessed in March, 1886. A second church, likely the existing Saint Gregory's, was built in 1910. Unfortunately, the building is in need of major repairs and is currently unsuitable for holding regular services. Nevertheless, mass is offered on the third Sunday of each month at 1:30 pm at the Osoyoos Indian Band Community Centre, located at 6046 Sandpoint Road, Just off of McKinney Road.